I write today's post with a heavy heart. Indeed it's bittersweet. Sweet because it's Digit-al Dozen Week and I love these girls and we have a super cool October theme...skittles! But it's also poignant because I've decided that this will be my final Digit-al Dozen (DD) challenge. But I don't want to overshadow the nail art! 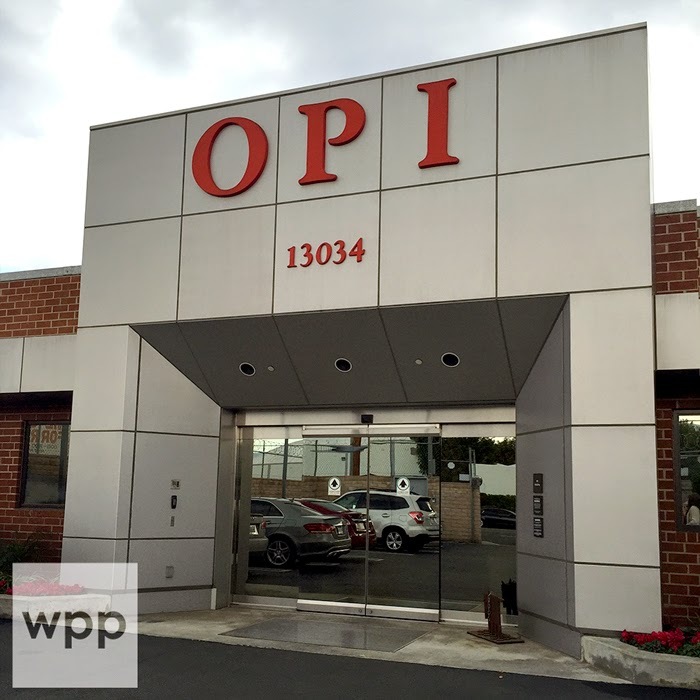 So let me start with that and at the end of the post (if you're interested) I'll fill you in on the expansion of the DD, my decision to leave the group, and what's ahead for WPP. So first...I LOVE the skittles theme because the opportunities are endless! The only requirements? Make each nail different in some way. Same design, different colors. Same colors, different design. Different everything. It's wide open. 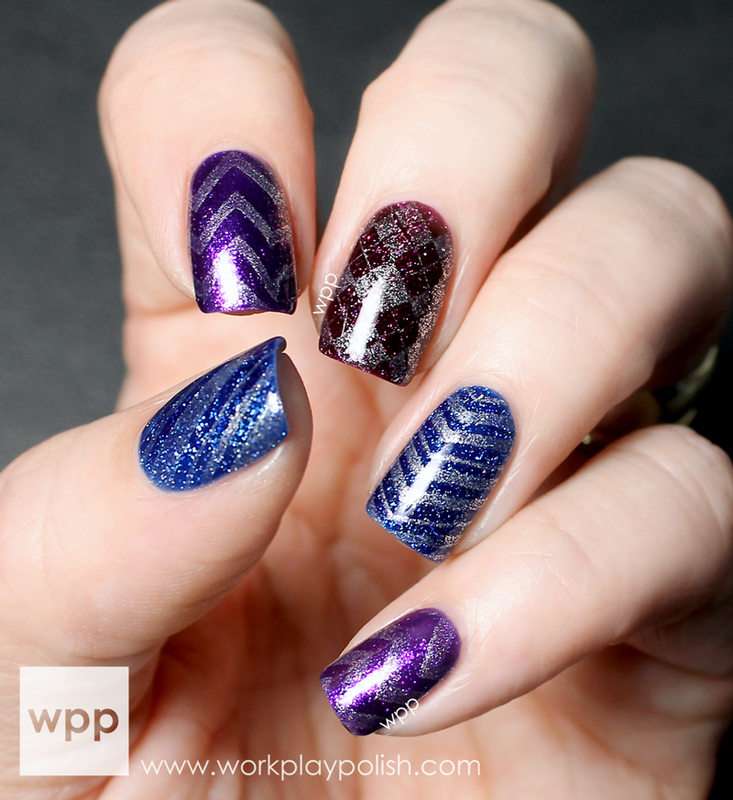 Today I chose to use four colors from the Zoya Holiday-Winter 2013 Zenith Collection to create a stamped skittle design. I love the six shades in this collection...they're so wintry and sparkly - perfect for the season. Below is my base. I used two coats each of the following polishes: Mimi (pinky and pointer), Dream (thumb and ring finger) and Payton (middle finger). The formula was really nice and application was easy. Aren't they gorgeous?? The Zoya Zenith Collection is available now at zoya.com for $8USD each. In addition to the shades used here, the collection also includes Cassedy, a pewter metallic, and Mosheen, an astro, ice-blue topper. Follow Zoya on facebook, twitter, instagram and their blog for frequent promotions. Vivid Lacquer stamping plates are available for $8USD in the Vivid Lacquer Etsy Store. Follow Vivid Lacquer on facebook, twitter and instagram...and sign up for the newsletter for promotions and restock news! And don't forget, you can WIN the entire Vivid Lacquer Halloween Collection PLUS Halloween stamping plate in my current giveaway. Enter HERE. So now on to the other stuff...my decision to leave the DD. Oh how I toiled over this. I've become very close to the awesome gals who make up the DD. Not only do we come together each month to create themed manis...but I consider all of them my friends. We communicate all month long about life, love, family, jobs...and of course, nails. We support each other's blogs, keep one another grounded, and above all, stay genuine. We are a tight group and I'm sure if you asked any member, they would tell you they're lucky to be a part. I'm no exception. After a year as a group, we were beginning to field a lot of questions. Who's in the group? How do you decide the themes? Can I join? So after September's challenge week, several of the members expressed an interest in expanding the DD to include a complete and dedicated online presence. This entailed the creation of a DD blog and social media accounts. The premise was simple...create a place where readers could go to learn about the group, see theme round-up posts, get member tips and tricks and more. And so they moved out on making that happen and many members stepped up to man different accounts and create content. Only I had a problem...no time...none...like I'm completely and utterly overextended as it is. In addition to my day job and this blog, I'm also supporting the Polished Girlz and developing a few other independent projects (fingers crossed). "Busy" doesn't begin to describe me. The group graciously assured me that it was perfectly okay for me to continue to participate without helping with the enormous amount of work required to essentially create a DD "entity" on the web. However, my gut told me it wasn't fair. Plus, my perfectionism, OCD and all of my other various (often unconstructive) personality quirks would make it difficult to passively participate. While I trust these gals implicitly, I obsessively need to be in control of everything...which includes anything do with this blog. It's my baby, you know. So I decided it would be better to step down from the group. What about me? One thing I loved about the challenges was how it pushed me to create great nail art. It's easy for that to get lost when you're weeks behind on your swatching pile! I need that "push". So I may try to set up some challenges of my own. 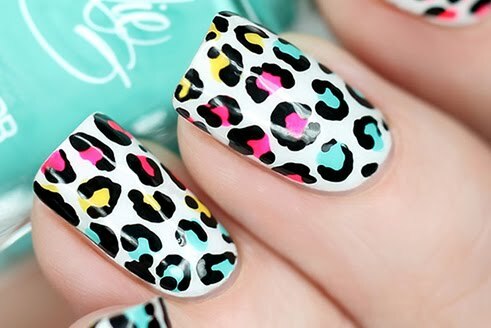 Or set aside some days each month for nail art only. I haven't decided yet. Whatever it is, it will stay small, unstructured and easy for me to handle. Don't write me off just yet! LOL. I'm still a member for the rest of the week. I'll save my super sappy goodbyes for Friday. 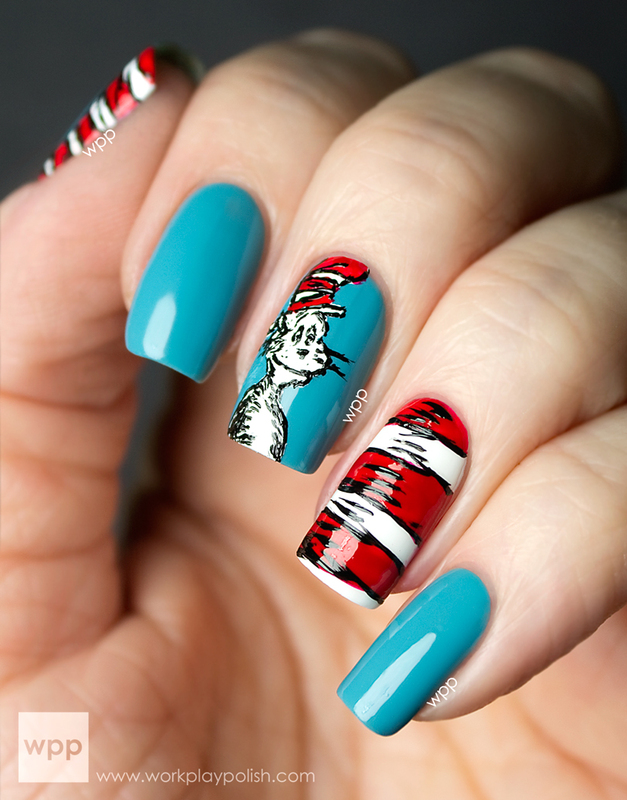 For now, stay tuned for more skittle manis and be sure to check out the other masterpieces from the rest of the wonderful ladies of the Digit-al Dozen!